J. Brian Day recently attended a Fire Chiefs Association of Massachusetts members event at Gillette Stadium in Foxborough, MA, home of the New England Patriots and Revolution. J. Brian Day is a new associate member of the FCAM, an organization dedicated to the education and training of fire service professionals. New FCAM members were invited to have their photos taken on the field, and were given a 9/11 Pin, FCAM Pin, membership card, and FCAM brief case for being a new member. Save the date! J.Brian Day will also be displaying at the FCAM trade show, February 3-5, 2015, in Boxborough, MA. For more information on the FCAM, visit the FCAM website. 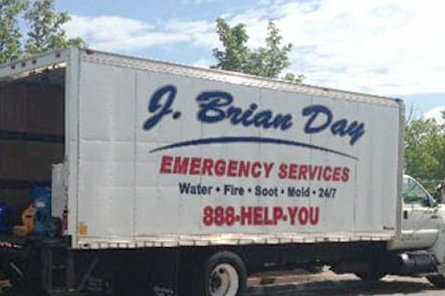 Of course, J. Brian Day provides complete fire damage restoration services 24/7. Those in need of our fire damage restoration services may reach us at 1-888-HELP-YOU.